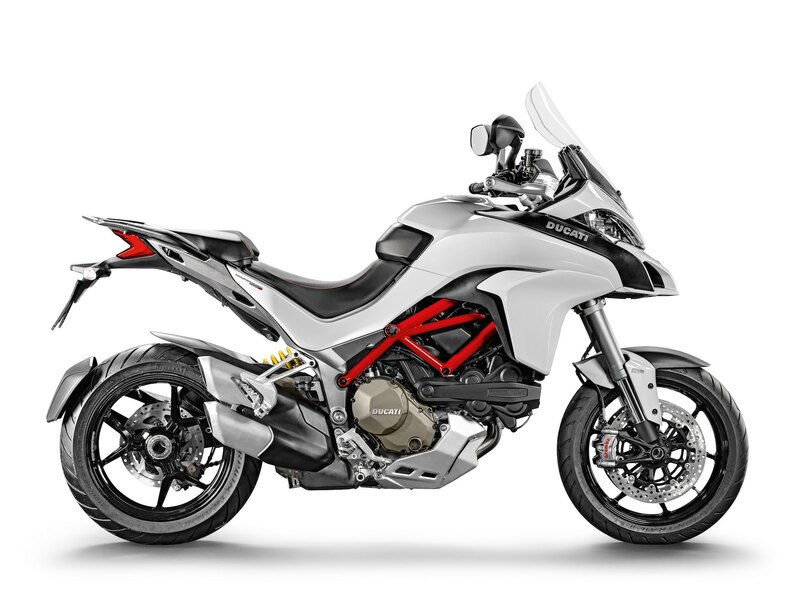 We’ve just about recovered from the Ducati Multistrada launch in Lanzarote, and we’ve been looking at the prices, specs and options on the new bike. 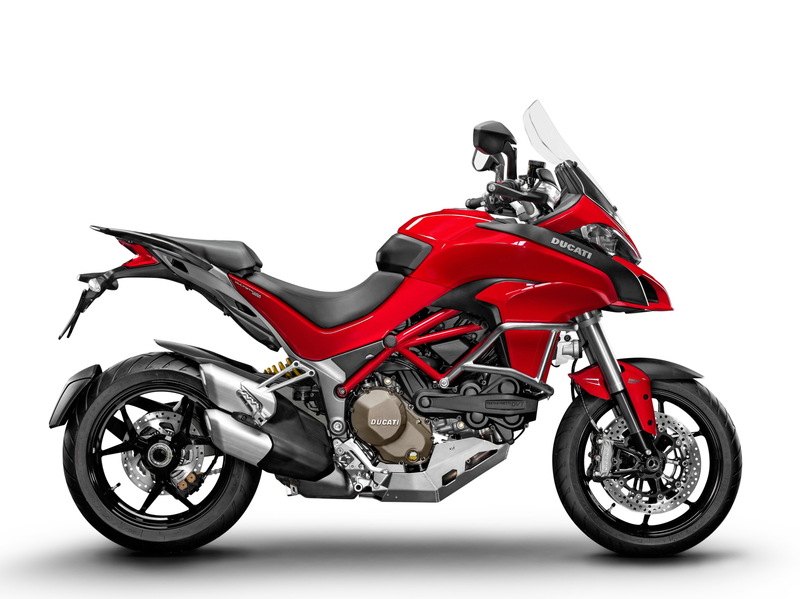 The base bike has 320mm front brake discs and Brembo monobloc calipers, where the S has 330mm discs and superbike-spec Evo M50 Brembos. 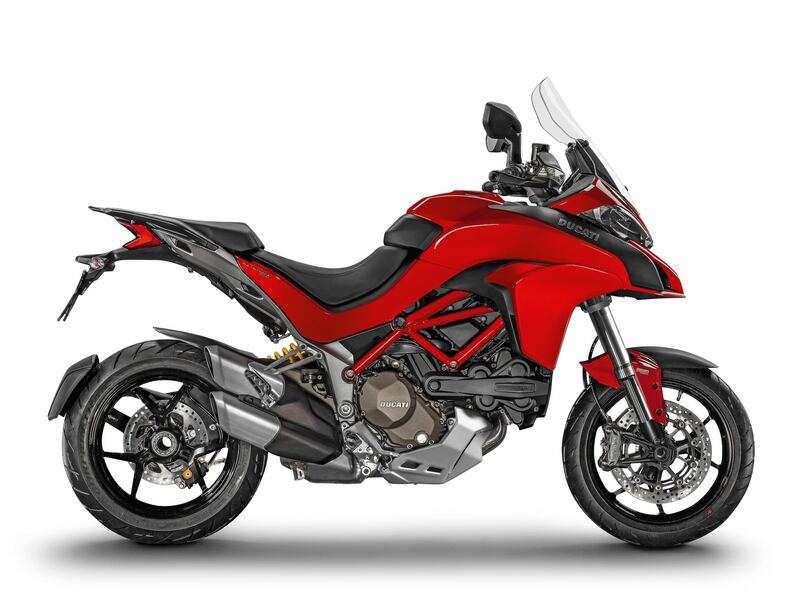 The S also has Sachs Skyhook semi-active, electronically-adjustable suspension compared with conventional 48mm USD forks and monoshock on the 1200. 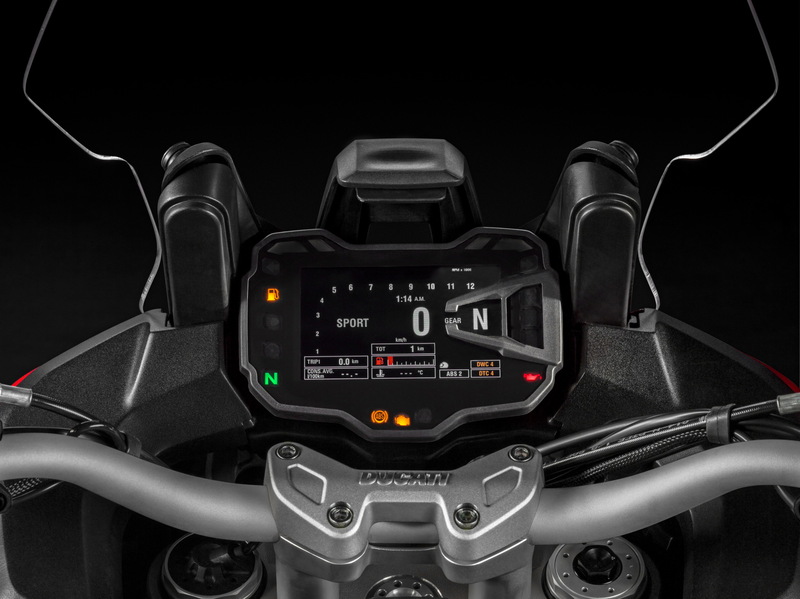 Finally, the S version has the full colour TFT LCD dashboard and full LED cornering headlights, where the base bike has a monochrome LCD screen (that still kicks the arse of 99.9% of other dashboards out there! 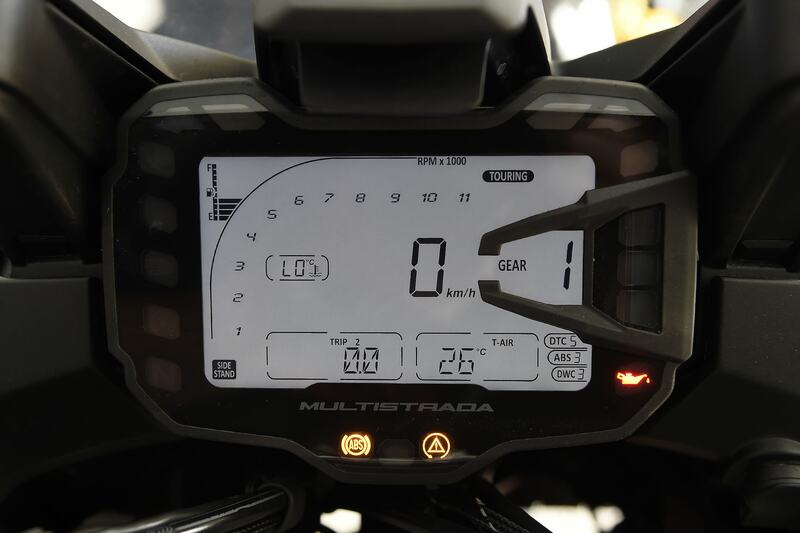 ), and normal halogen headlights. 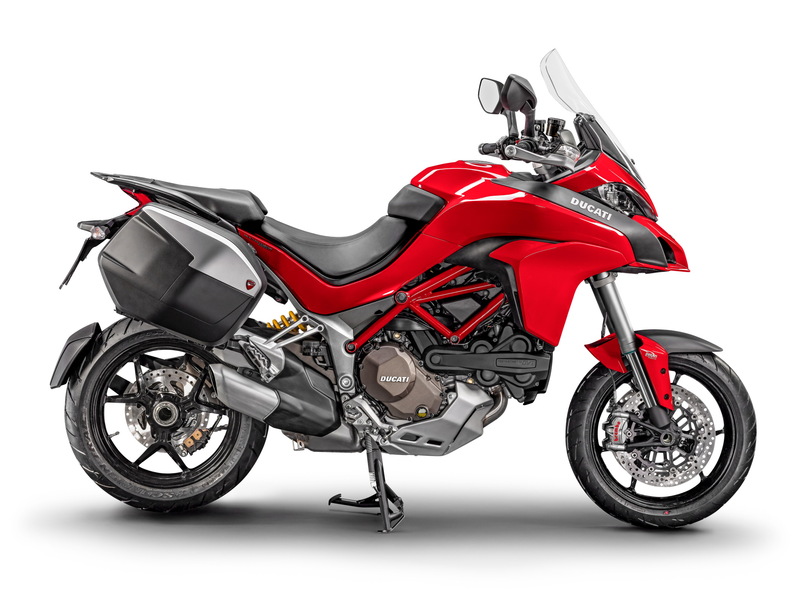 Once you’ve chosen the base bike, you can add on one of four option packs – Sport, Touring, Urban or Enduro. 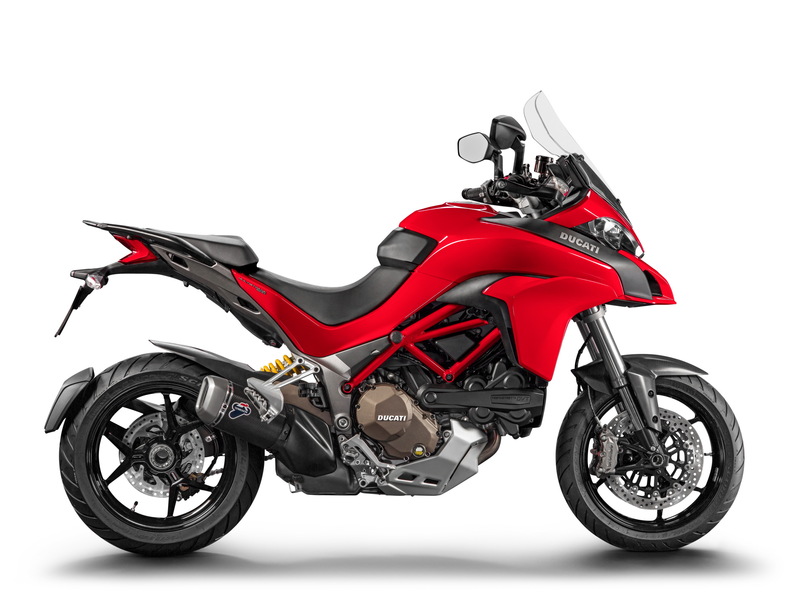 The Touring Pack includes: heated grips, panniers and centre stand, the Sport pack has a Termignoni carbon silencer, carbon front mudguard and Ducati performance covers for brake and clutch reservoirs, the Enduro pack includes engine cover bars, steel foot pegs, additional LED lamps, a stand support plate, engine cover plate and a radiator protector. 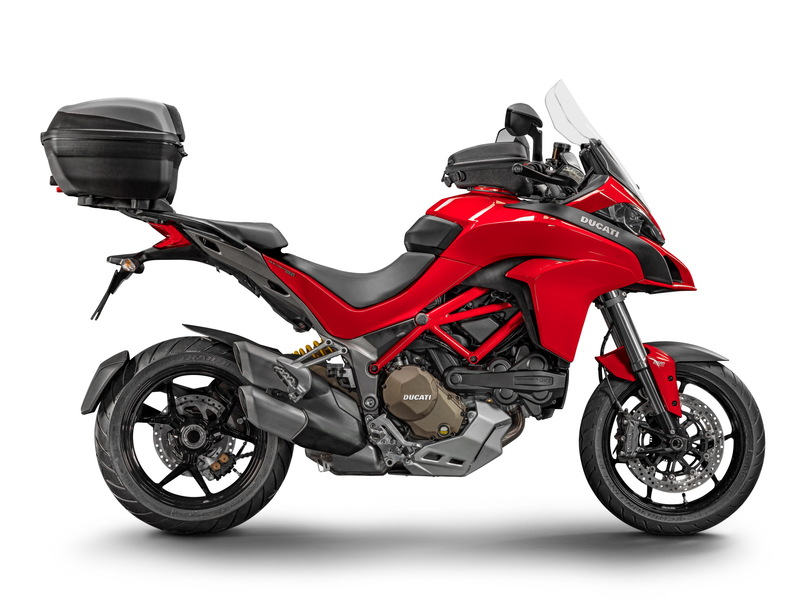 Finally, the Urban pack has a top box, a small Givi tank bag, and a USB hub with power supply, that plugs into the bike’s 12v connector.